After completing his first full season in the FIM Supersport World Championship, Loris Cresson is preparing to battle in 2019 with Kallio Racing once again. Finishing in 12th overall this season, the Belgian rider will be heading into the new season with more experience and a hunger to fight. Building up a consistent season with his Yamaha YZF-R6, Cresson only finished outside of the points on three occasions and was able to end with 40 points in the championship standings. Unable to fight for podium finishes, he will look at making a step up in his second season with the team with continuity being the key. “2018 was a good first season for me in the World Supersport Championship!” Explains Cresson. “I’m happy that I finished 12th in the overall standings. We did a good job all round the year with the team, and always made good improvements, with three top 10 positions. For 2019, the target is to be fighting at the front more, with the main goal to finish in the top five, or top ten. I will work hard to improve each time I am on the bike and do my best to reach this goal! During this winter I will work hard on my riding style to improve my pace for the season 2019. 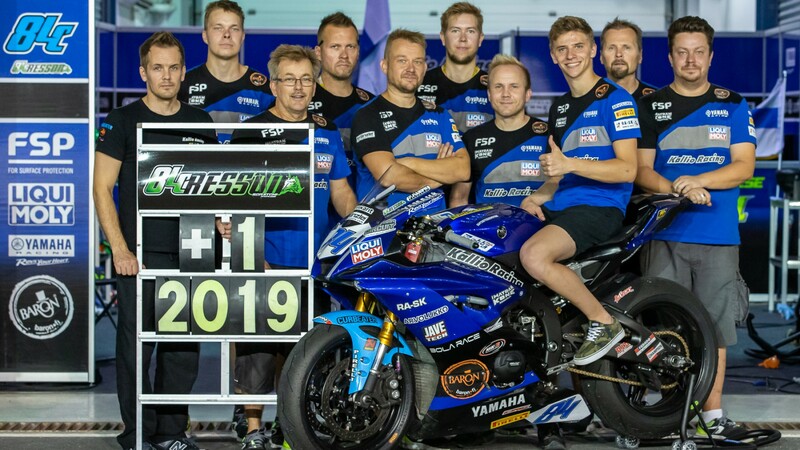 Keep up with Cresson’s off season testing, as well as keep an eye out for Kallio Racing’s second rider announcement with the WorldSBK VideoPass.